"Effects of Castration in Male Llamas (Lama Glama) on Human-Directed Aggression - Theriogenology". (http://www.theriojournal.com/article/S0093-691X(07)00253-1/abstract). 2002. "Meeting Abstracts. Proceedings of the American College of Veterinary Anesthesiologists 26th Annual Meeting, New Orleans, Louisiana, 11-12 October 2001." Veterinary Anaesthesia and Analgesia 29(2):97-112. Anderson, D. E. 1999. "Common Surgical Procedures in Camelids." Journal of Camel Practice and Research 6(2):191-201. Anderson, D. E. 2004. "Common Surgical Procedures in Camelids." Stillwater (https://www.cabdirect.org/cabdirect/abstract/20043215561). Anderson, D. E., T. A. Cotton and C. E. Whitehead. 2008. Neonatal Care for Camelids: Breeding to Birthing to Weaning. Manhattan: Veterinary Medical Continuing Education, Kansas State University. Anderson, D. E. 2012. "Routine Camelid Procedures - Part 1: Castration of Alpacas and Llamas." Gainesville (https://www.cabdirect.org/cabdirect/abstract/20123241204). Anderson, D. E. 2013. "Injectable Anesthesia." Pp. 39-42. Chichester: John Wiley & Sons. Baird, A. N., D. G. Pugh, J. G. W. Wenzel and H. C. Lin. 1996. "Comparison of Two Techniques for Castration of Llamas." Journal of the American Veterinary Medical Association 208(2):261-62. Barrington, G. M., T. F. Meyer and S. M. Parish. 1993. "Standing Castration of the Llama Using Butorphanol Tartrate and Local Anesthesia." Equine Practice 15(5):35-39. Bertin, F. R. and S. D. Taylor. 2016. "Cerebrospinal Nematodiasis in 20 Camelids." Journal of veterinary internal medicine 30(4):1390-95. doi: 10.1111/jvim.13958. Bradbury, L. 2008. "Field Anaesthesia in Camelids." In Practice 30(8):460-63. Bravo, P. W. and J. Sumar. 1991. "Evaluation of Intra-Abdominal Vasectomy in Llamas and Alpacas." Journal of the American Veterinary Medical Association 199(9):1164-69. Brown, C. J. 1994. "Castration of Llamas." Veterinary record 134(25):659-60. Byers, S. R., S. M. Parish, S. P. Holmes, S. L. Donahoe and G. M. Barrington. 2007. "A Fungal Granuloma of the Frontal Sinus in a Llama." Canadian Veterinary Journal 48(9):939-41. Dargatz, D. A. and L. W. Johnson. 1987. "Castrating the Llama: A Step-by-Step Guide." Veterinary Medicine 82(6):625-27. Duncanson, G. 2008. "Camelid Consults - Part Two: Recumbency and Reproduction." Veterinary Times 38(23):20. Duncanson, G. R. 2012. "Sedation, Anaesthesia, Surgical Conditions and Euthanasia." Pp. 68-79. Wallingford: CABI. Duncanson, G. R. 2012. "Medicine and Surgery of the Urino-Genital System." Pp. 121-44. Wallingford: CABI. Harreveld, P. D. van, S. M. Angelos, D. P. Gnad and D. C. van Metre. 2000. "Llama Castration." Compendium on Continuing Education for the Practicing Veterinarian 22(4):S88-S91. Jarvinen, J. A. and J. M. Kinyon. 2010. "Preputial Microflora of Llamas (Lama Glama) and Alpacas (Vicugna Pacos)." Small Ruminant Research 90(1/3):156-60. doi: 10.1016/j.smallrumres.2010.01.007. Jones, M. L. 2013. "Castration." Pp. 293-97. Chichester: John Wiley & Sons. Nickolmann, S., S. Hoy and M. Gauly. 2001. 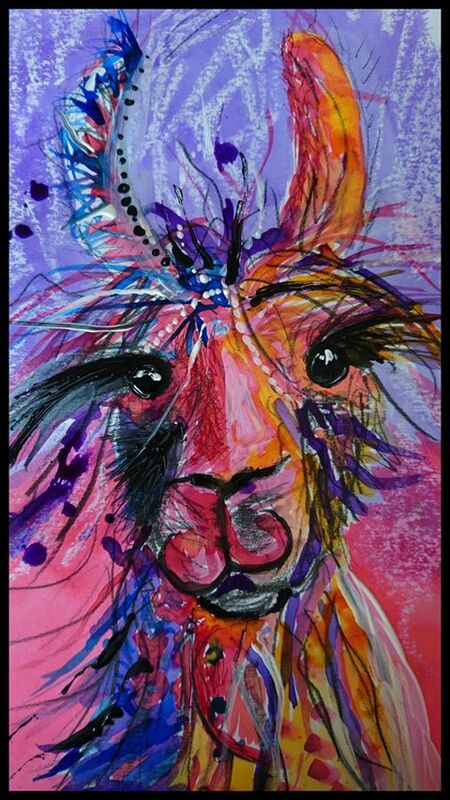 "Effects of Castration on the Behaviour, and Testosterone and Serum Thyroid Hormone Levels of Male Llamas (Lama Glama)." Wageningen (https://www.cabdirect.org/cabdirect/abstract/20023109792). Nickolmann, S., S. Hoy and M. Gauly. 2008. "Effects of Castration on the Behaviour of Male Llamas (Lama Glama)." Tierärztliche Praxis. Ausgabe G, Grosstiere/Nutztiere 36(5):319-23. Pugh, D. G., A. N. Baird, D. F. Wolfe, J. G. W. Wenzel and H. C. Lin. 1994. "A Prescrotal Castration Technique for Llamas." Equine Practice 16(4):26-28. Pugh, D. and M. Gauly. 1995. "Castration Technique for Llamas." Praktische Tierarzt 76(5):461-63. Rousseau, M., D. E. Anderson, A. J. Niehaus, M. D. Miesner and S. Nichols. 2013. "Osseous Sequestration in Alpacas and Llamas: 36 Cases (1999-2010)." Journal of the American Veterinary Medical Association 243(3):430-36. doi: 10.2460/javma.243.3.430. Smith, M. A., R. D. Bush, P. C. Thomson and D. L. Hopkins. 2015. "Carcass Traits and Saleable Meat Yield of Alpacas (Vicugna Pacos) in Australia." Meat Sci 107:1-11.